Entries tagged with “Colin Farrell”. If there’s one thing that unites director Peter Weir’s recent (and, with only four movies in the last eighteen years, sadly small) filmography it’s that each entry is, at its core, the story of a one man’s attempt to survive in the face of extreme circumstances. Obviously that description can apply to any number of films, but Weir picks circumstances that are particularly extreme. 1993’s Fearless featured Jeff Bridges as the survivor of an airplane crash, 1998’s The Truman Show cast Jim Carrey as the unwitting star of a reality TV series with a cast and crew of hundreds and 2003’s Master and Commander: The Far Side of the World found Russell Crowe (in his last great screen performance) as a 19th century sea captain leading his frigate into battle against a bigger, faster opponent. 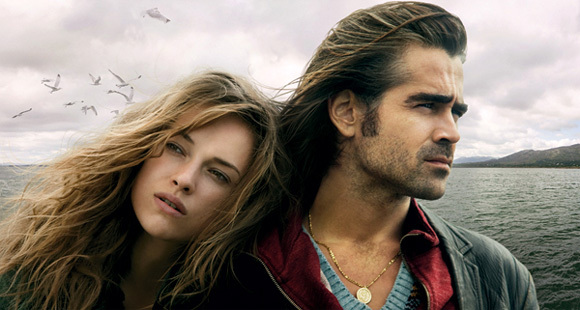 Colin Farrell continues his career renaissance with a fine star turn in Neil Jordan’s small-scale Irish fairy tale. Read my review over at Film Journal. NYC Film Critic is powered by	WordPress 4.2.23 and delivered to you in 0.328 seconds using 34 queries.